October 4, 2010 – A recent Iowa appellate court decision allowed a legal malpractice case to continue against an attorney who failed to ensure that a trust was set up for his former client’s benefit in accordance with a divorce settlement. The plaintiff in the case hired the attorney to represent her in divorce proceedings in 2001. The parties to the divorce reached a settlement, which required the plaintiff’s ex-husband to make alimony and mortgage payments and establish a trust for the plaintiff’s benefit by March 5, 2001. In the event that the ex-husband predeceased the plaintiff, the trust would pay off the mortgage of the home awarded to plaintiff and pay her alimony payments for the five years following his death. The plaintiff received the initial alimony and mortgage payments, but without the plaintiff’s knowledge, her ex-husband never set up the trust. Subsequently, on May 30, 2005 her ex-husband died and the payments ended eventually resulting in the loss of her home. On May 25, 2007, the plaintiff filed a legal malpractice claim against her former attorney seeking monetary and emotional damages. The defendant attorney brought a motion for summary judgment asserting that the 5 year statute of limitations (“SOL”) had run out on the plaintiff’s claim. The trial court granted the attorney’s motion asserting that the SOL began to run when the trust was supposed to be established on March 5, 2001. The appellate court reversed the trial court’s ruling by relying on the discovery rule. In Iowa, the discovery rule applies in legal malpractice cases and says that the SOL does not begin to run “until the date of discovery, or the date when, by the exercise of reasonable care, plaintiff should have discovered the wrongful act.” The court concluded that the plaintiff’s exercise of reasonable care depended upon whether or not the attorney adequately disclosed her and her ex-husband’s obligations under the divorce settlement. The court reasoned that since the settlement did not require the ex-husband to notify the plaintiff that the trust was in place, she was not expecting a confirmation and was possibly not on notice of the failed creation. Thus the court held that questions of fact remained as to whether the plaintiff “had the requisite knowledge to trigger the statute of limitations” on March 5, 2001. The court further held that since the attorney could have remedied that situation up until the ex-husband’s death on May 30, 2005, the plaintiff did not incur any harm until that date, which could support a decision that the SOL didn’t begin to run until the ex-husband’s death. The appellate court remanded the case for further proceedings in accordance with its ruling. The appellate court also upheld the trial court’s ruling that plaintiff was not entitled to emotional distress damages because there was no physical injury and none of the exceptions to that general rule applied. Sources: William Jordan, The Professional Liability Reporter, 35 No. 10 PLRPT 10, October 2010; Crone v. Nestor, 2010 WL 3324923 (Iowa App. 2010). The above information is provided by Boston Legal Malpractice Lawyer, Keith L. Miller, a Boston, Massachusetts civil trial lawyer, specializing in the legal representation of individuals who believe that they have suffered monetary damages as the result of legal malpractice. 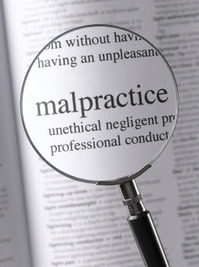 If you believe that you have suffered damages which were caused by an attorney’s negligence, contact Keith L. Miller to arrange a free consultation 24 hours a day, 7 days a week either by telephone at (617) 523-5803, or click here to send him an email. You will be contacted within 24 hours.